If you have ever used wooden pallets for your shipping needs, you are probably aware that wood can be susceptible to mould growth. This is especially true in the warmer months as warmth is something that mould loves, together with frequent rain showers that bring about trapped moisture in the storage facilities. 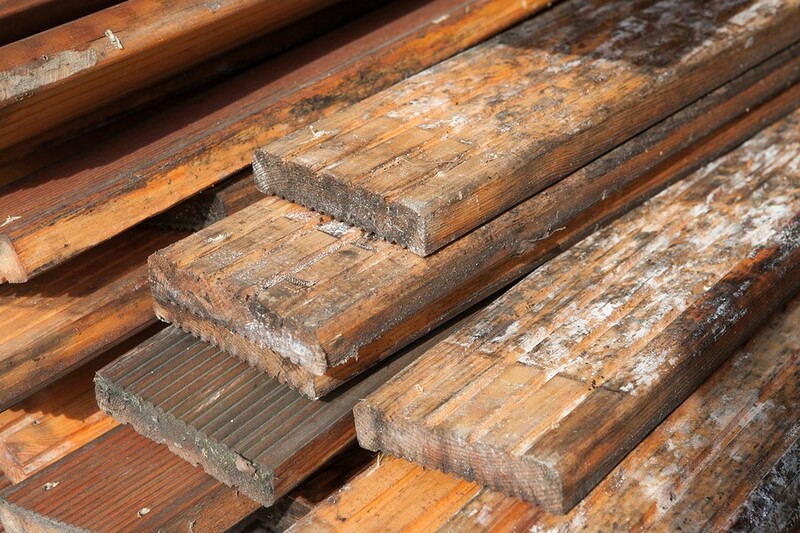 Mouldy pallets usually do not affect the products being shipped unless they are exposed directly to the wood. But even when using an experienced pallet courier there are precautions that you can take so that sensitive items, like food or pharmaceuticals, are not affected by fungi. So what can you do to prevent mould in or around your pallet storage? As a fungus, mould needs three things to survive: oxygen, food and moisture. Add heat on top of that and you have just created an ideal environment for infestation. Oxygen is hard to remove from the equation as it’s all around us, and the food is the actual wood making up the pallet. That leaves us with moisture as the one factor that we can normally hope to influence. Mould spores are found all around us, they are part of the air we breathe. However, if there are other mould infestations close by there is a higher risk that it will spread to your pallets. Obviously, pallets made of organic materials are likely to be affected; plastic and metal do not suffer from this problem. When it comes to wood, always be sure to use heat-treated (HT stamp, part of the ISMP15 standard) wood. This ensures that the pallet left the manufacturing plant without any mould or insects. Press wood and paper pallets are not as susceptible to fungi, however they are still somewhat of a niche market, so make sure that your final client can receive and handle them. If you are in the habit of storing pallets for longer periods of time, make sure they are in a dry environment with good air circulation. Avoid storing them close to trash or old items that may already be infested with fungi. Storing them outside, covered with plastic, can trap moisture in the stack and is not recommended. If you have a large amount of pallets, and are using rack storage, fans can be used to help the air flow. For a wooden pallet to effectively resist mould growth, a moisture content of less than 20% is a commonly accepted guideline. This can be achieved by drying the wood in a kiln (KD stamp) or in open air. However, this adds a cost to the pallet that many companies are not willing to pay, and as such it’s not a standard in manufacturing. Keeping your pallets dry and using pesticides when shipping sensitive goods are the only ways you can make sure that the wood stays free from infestation.